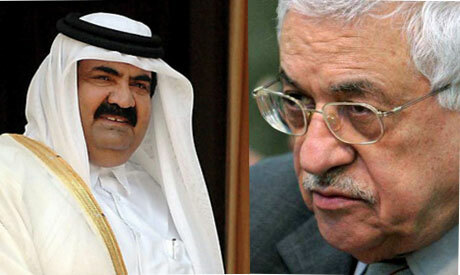 In a press conference Monday, senior Palestinian Authority (PA) official Yasser Abed Rabbo accused Qatar’s Emir of waging a smear campaign against the PA through the Doha-based Al-Jazeera which began releasing on Sunday thousands of leaked documents revealing that the PA ceded several Palestinian rights and made unparalleled concessions on West Bank settlements. “Al-Jazeera channel took the green light from Qatar’s Emir before publishing such documents, it is purely a political campaign against President Mahmoud Abbas”, claimed Abed Rabbo. He added that the PA called on Qatar to extend its commitment of transparency and Media freedoms by revealing Doha’s role in helping the US spy on its Gulf neighbours. It also should speak out about Qatar’s relations with Israel, he added, and its role in funding extremist groups that are involved in terrorist activities in the Arab region. He added that Al-Jazeera has adopted a hostile altitude towards the PA since the days of former president Yassar Arafat.